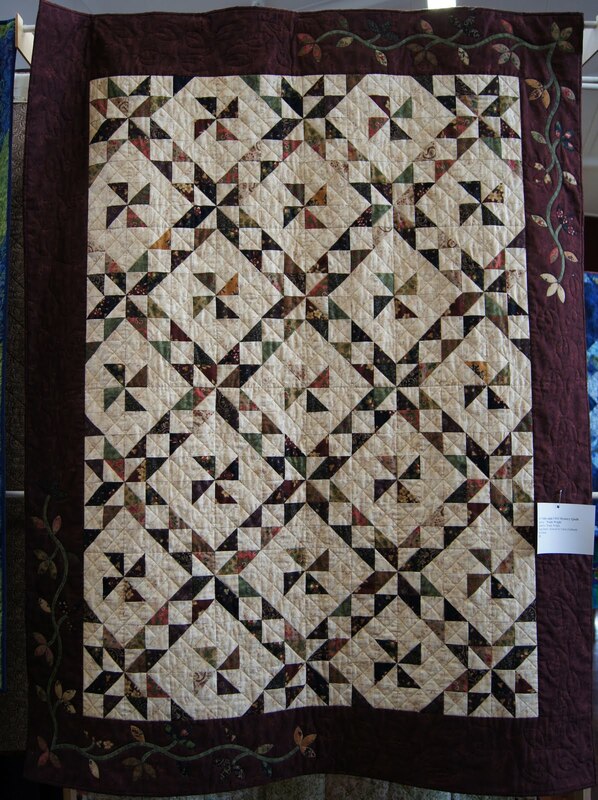 Yesterday some of my sewing group went to Marton to the enjoy the local quilt show. There were heaps of people and the Club were using a new venue (much better than previous years). The weather was absolutely ideal with no wind or rain, whereas visitors were reporting torrential rain and flooded rivers. I managed to spend one of my vouchers which I won at Tote & Gloat, so will use the product and show you soon. I took a couple of photos of quilts to share. 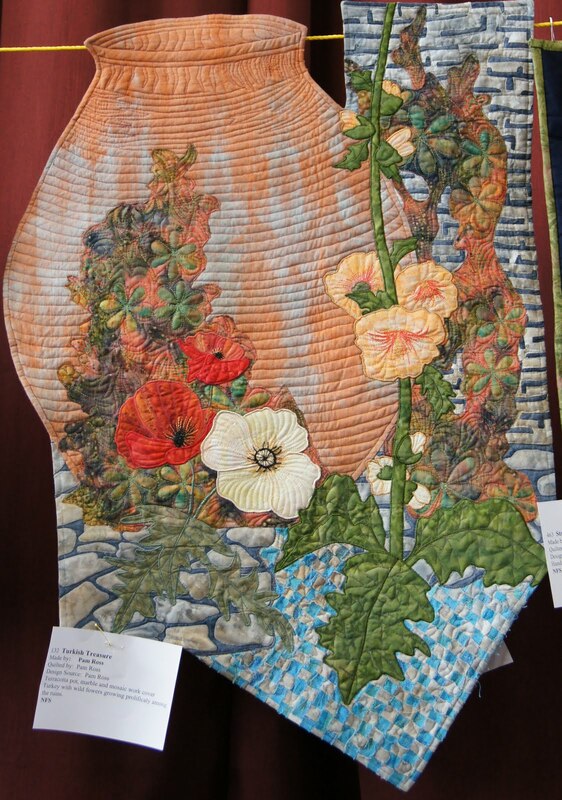 The guest exhibitor was Anna Williams (a Club member), who has a wide variety and exquisite work. They also had the NZ Quilter Suitcase exhibition quilts, and the NZ Hoffman Challenge quilts. Plus, a lovely mix of merchants. All in all, we had a terrific few hours.